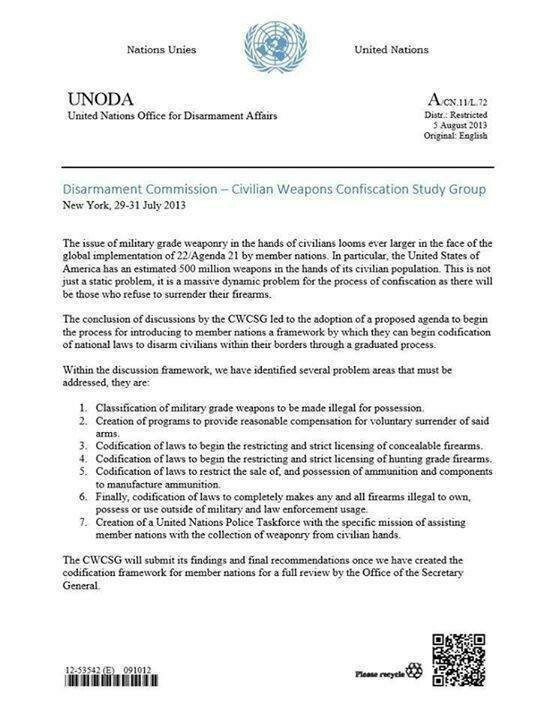 The following is a smoking gun document that presents seven sequential steps designed to culminate in the total disarmament of the American nation. For those of you that know your history, you will note that there were 17 genocides in the 20th Century and in each case, these genocides were preceded by gun confiscation by the host government. According to the Democide Project located at the University of Hawaii, governments killed far more people, (an estimated 260 million} victims, than even war. 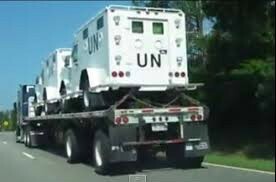 History shows that if we ever allow government, the UN, or the U.S., to ever be able to seize our guns, we are signing our death warrant! Job Description: A minimum of seven years of progressively responsible experience in disarmament, demobilisation and reintegration or related area. Experience working within peacekeeping, peace-building or development programmes operations is desirable. Experience with small arms control, conflict/post-conflict crisis management, economic recovery is desirable. Experience coordinating multiple partner agencies, funds or programs is desirable. 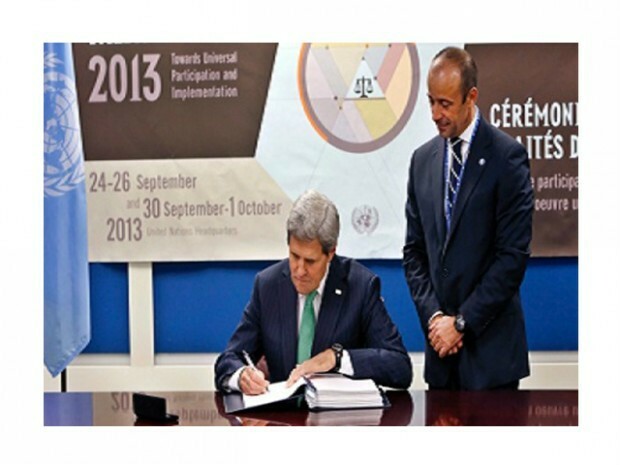 Secretary of State, John Kerry, signing away America's freedom, security and longevity.